"What we see is the culmination of a quiet revolution that has been taking place in Ireland over the last couple of decades," Varadkar, who became Ireland's first openly gay prime minister last year, told journalists in Dublin. 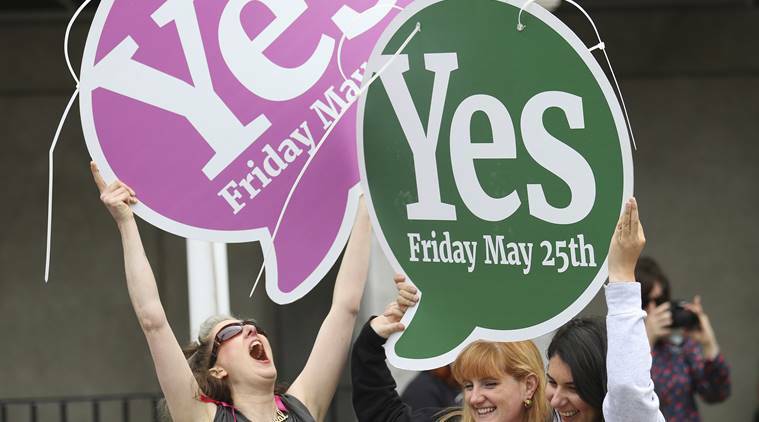 Dublin: Ireland has voted by a landslide to liberalise its highly restrictive abortion laws in a referendum that its prime minister called the culmination of a “quiet revolution” in what was one of Europe’s most socially conservative countries. Voters in the once deeply Catholic nation backed the change by two-to-one, a far higher margin than any opinion poll in the run up to the vote had predicted, and allows the government to bring in legislation by the end of the year. “It’s incredible. 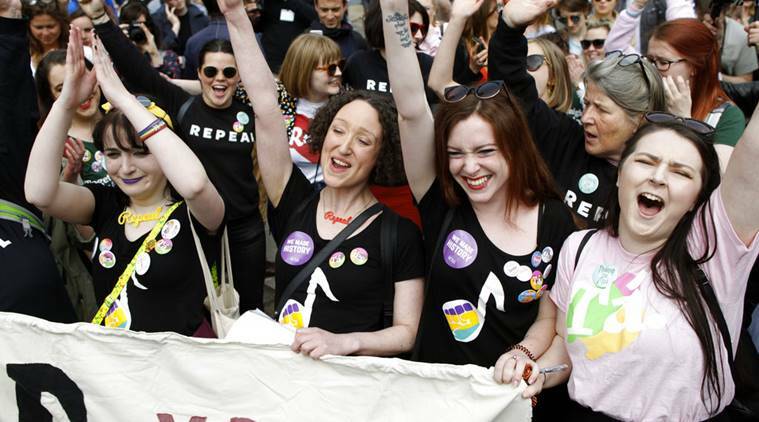 For all the years and years and years we’ve been trying to look after women and not been able to look after women, this means everything,” said Mary Higgins, obstetrician and Together For Yes campaigner. 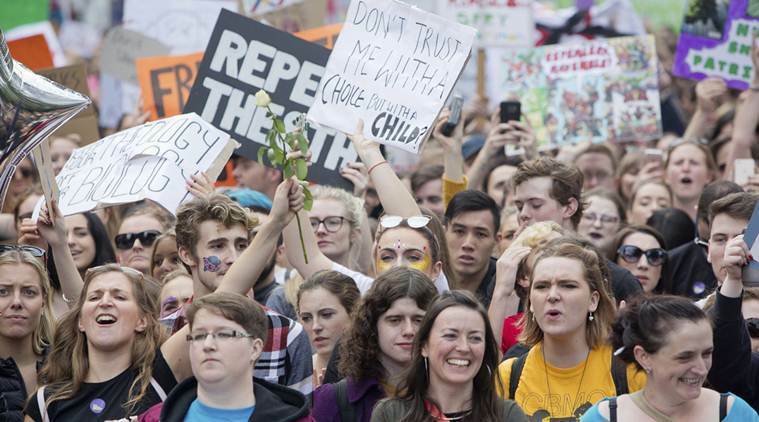 Prime Minister Leo Varadkar, who campaigned to repeal the laws, had called the vote a once-in-a-generation chance and voters responded by turning out in droves. A turnout of 64 percent was one of the highest for a referendum. All but one of Ireland’s 40 constituencies voted “Yes” and contributed to the 66 percent that carried the proposal, almost an exact reversal of the 1983 referendum result that inserted the ban into the constitution. “What we see is the culmination of a quiet revolution that has been taking place in Ireland over the last couple of decades,” Varadkar, who became Ireland’s first openly gay prime minister last year, told journalists in Dublin. The outcome is the latest milestone on a path of change for a country which only legalised divorce by a razor thin majority in 1995 before becoming the first in the world to adopt gay marriage by popular vote three years ago. “For him (his son), it’s a different Ireland that we’re moving onto. It’s an Ireland that is more tolerant, more inclusive and where he can be whatever he wants without fear of recrimination,” said Colm O’Riain, a 44-year-old teacher with his son Ruarai, who was born 14 weeks premature in November. Anti-abortion activists conceded defeat early on Saturday as their opponents expressed astonishment at the scale of their victory. Lawmakers who campaigned for a “No” vote said they would not seek to block the government’s legislation. “What Irish voters did yesterday is a tragedy of historic proportions,” the Save The 8th group said. “However, a wrong does not become a right simply because a majority support it.” Voters were asked to scrap the constitutional amendment, which gives an unborn child and its mother equal rights to life. The consequent prohibition on abortion was partly lifted in 2013 for cases where the mother’s life was in danger. The largest newspaper, the Irish Independent described the result as “a massive moment in Ireland’s social history”. Campaigners for change, wearing “Repeal” jumpers and “Yes” badges, gathered at count centres, many in tears and hugging each other. Others sang songs in the sunshine outside the main Dublin results centre as they awaited the official result. The large crowd cheered Varadkar as he took to the stage to thank them for “trusting women and respecting their choices”. No social issue has divided Ireland’s 4.8 million people as sharply as abortion, which was pushed up the political agenda by the death in 2012 of a 31-year-old Indian immigrant from a septic miscarriage after she was refused a termination. Campaigners left flowers and candles at a large mural of the woman, Savita Halappanavar, in central Dublin. Her parents in India were quoted by the Irish Times newspaper as thanking their “brothers and sisters” in Ireland and requesting the new law be called “Savita’s law”. Deputy Prime Minister Simon Coveney said he believed a middle ground of around 40 percent of voters had decided en masse to allow women and doctors rather than lawmakers and lawyers to decide whether a termination was justified. The vote divided political parties, saw the once-mighty Catholic Church take a back seat, with the campaign defined by women on both sides publicly describing their personal experiences of terminations. Although not on the ballot paper, the “No” camp sought to seize on government plans to allow abortions with no restriction up to 12 weeks into a pregnancy if the referendum is carried, calling it a step too far for most voters. Save The 8th spokesman McGuirk appealed for tolerance and respect from “those who find themselves in the majority now”.